F ree diving the Sardine run is a once in a lifetime adventure and definitely one of the top ranking contenders on the adventure bucket list. Billions of Sardines migrate up the eastern coast of South Africa, and The Run is the worlds largest migration of fish, mammals and birds. 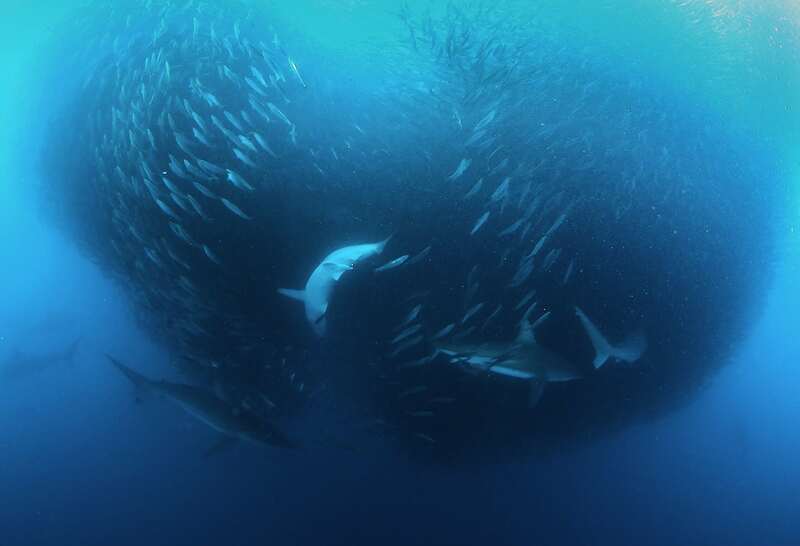 The Sardine mega shoal moves up from their breeding grounds near Cape Agulhus along the coastline, hounded by the assemblage of millions of predators, resulting in the largest feeding frenzy on earth. 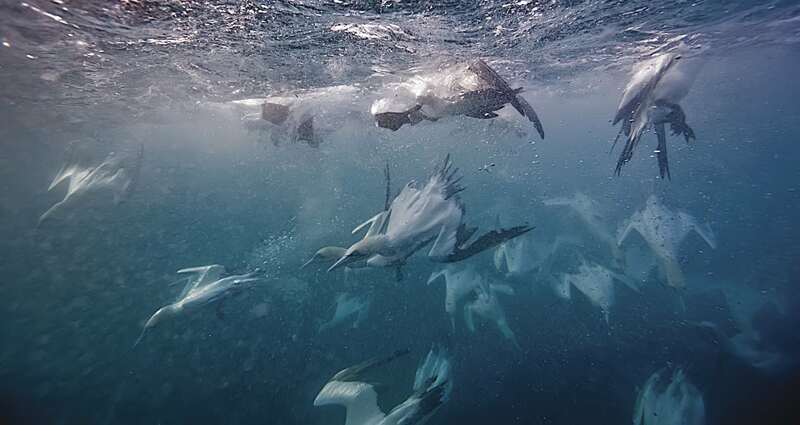 Visitors are overwhelmed with sightings, from hundreds of species of sea bird rocketing into the water to super pods of Dolphins corralling the sardines into flowing bait balls, which are smashed apart by numerous species of Whales and Sharks and other large predatory fish. This incredible tour is an all inclusive experience from the moment you arrive in Port St Johns. 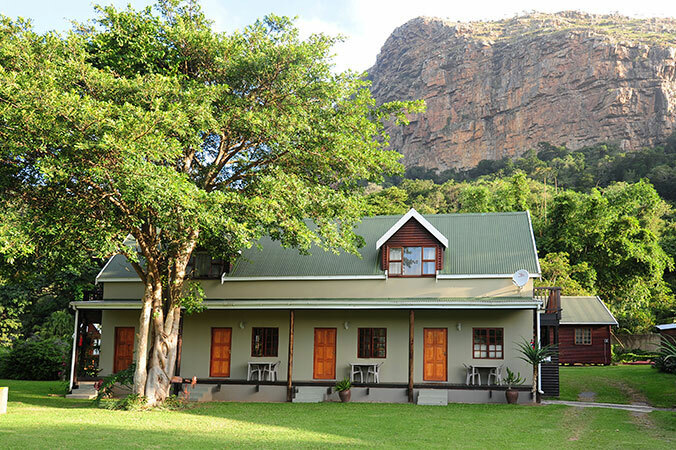 The Port St Johns River lodge is situated on the Umzimvubu River, nestled between two mountains. Its idyllic surroundings are complemented by its world famous hospitality, where every guest is made to feel at home. Guests are free to use any of the lodges facilities like the warm swimming pool, have a drink off the river deck or shoot some pool in the bar. There is also so much to explore around the area from challenging mountain walks, forest hikes or even a leisurely day on a deserted beach. Accommodations are made up of chalets and B&B styled rooms. All are furnished with an air-conditioner and TV, with DSTV. Meals are spent in our rustic restaurant with stunning 180 degree views of the river and mountains. At Port St Johns river lodge – Not request is too big or small. The Tour consists of 6 nights and 5 days on the majestic Wild Coast with accommodation at the Port St Johns River lodge, all meals and professional skippers / dive guides. Space is limited to 8 people per tour, with only two tours available – so book now and experience nature like never before.